Pemex is one of the few companies in the world to engage in the whole petroleum chain, from oil exploration to the distribution and marketing of final products, including petrochemicals. Its business is therefore divided across a number of subsidiaries. One of them is Pemex Refining, which recently signed an annual Performance Agreement with Alfa Laval.st companies in Latin America. 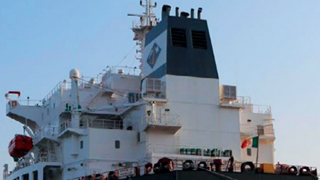 Today Pemex has a Performance Agreement with Alfa Laval, designed to safeguard and improve the operation of its petroleum tankers. The signing of a Performance Agreement marks a shift in approach for Pemex. The company has been working with Alfa Laval for around eight years, but has previously ordered a standard list of spare parts via its purchasing office in Houston, Texas. By taking a more comprehensive approach, the company aims to make continuous improvements that will extend the lifetime of its equipment. Instead of being handled by the purchasing office, the Performance Agreement was carefully developed with local Mexican sites involved in the vessels’ operation, then signed though the main office in Veracruz state.